Panasonic Corporation announced that Panasonic Ecology Systems Co., Ltd. (PESES), a Panasonic group company focusing on indoor air quality (IAQ) and environmental systems, had marked a cumulative global production of 200 million ventilating fans in December 2018. It has been 60 years since the manufacture of its first ventilating fan in 1958. Since its foundation in 1909, PESES has been dedicated to improving the IAQ through the provision of ventilating fans, electric fans, and air purifiers. The company produces over seven million units of ventilating fans, its flagship product, annually. Offering them in more than 40 countries and regions, PESES is contributing to IAQ improvement in the world using its experience and technologies acquired in Japan. The ventilating fan was initially called ‘exhaust fan’ and its usage confined to such facilities as movie theaters and hospitals. Kawakita Denki Kigyosha, the predecessor company of PESES, started distributing fans for hospitals in 1928. 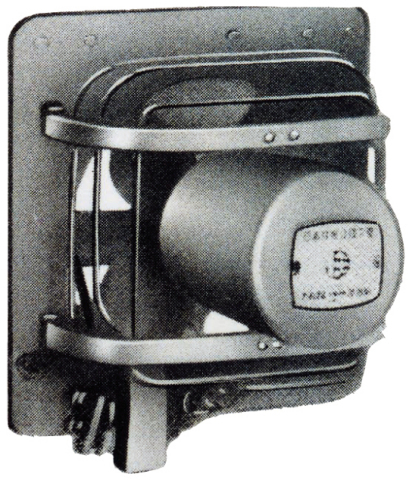 As per a 1956 request from the Japan Housing Corp. (the current Urban Renaissance Agency), the company developed ‘the first ventilating fan’ specially designed for public housing and released it in 1958. The product's history thus began as a ventilation fan to expel smoke and odors from kitchens. During the 1970s, growing awareness of the need for global environmental protection, energy efficiency, and domestic comfort led to increasing popularity of super-insulated homes. To solve the resultant dew condensation problems, central home ventilation was needed, and PESES responded by developing an energy recovery ventilator system. In 2003, the law made it a requirement to provide all rooms with 24-hour ventilation to prevent sick building syndrome. PESES was one of the first to launch a series of products and systems for 24-hour ventilation as well as a ventilation design support service. Since about 2008, particulate matter present in outdoor air, such as pollen, yellow dust, and PM2.5 have affected people's lives, increasing general interest in Class 1 ventilation systems. Class 1 ventilation systems, unlike conventional Class 3 systems that simply expel stale indoor air, allow air from outdoors to be purified first before transporting it inside by using mechanical ventilation for both air supply and exhaust. Housing designs are also changing in Japan as the government is promoting the construction of Net Zero Energy Houses. There has also been a growing demand for houses in which it is possible to live a life of wellness for many years with complete peace of mind. People spend a great deal of time indoors, so ‘smart wellness ventilation’ is of growing interest as a system for improving IAQ and providing a high-quality air environment. Class 1 ventilation with energy recovery ventilator systems are therefore being promoted. PESES has been introducing new products and exploiting new markets in China, North America, Asia and the Middle East based on technologies and products developed as the core of its business experience in Japan. PESES has established local production schemes by building factories in Hong Kong*2 in 1981, China in 1993, Thailand in 1996, and Mexico in 2016, as well as operating factories in Malaysia, Indonesia and India. The site in China is its largest production base outside Japan. It develops and manufactures products for China to achieve a fast and efficient supply of products that meet local customer needs. The site also serves as a global production base, developing and manufacturing products for other countries. In Asia, PESES widely distributes its products developed and manufactured to suit the characteristics of each region. The company started offering ventilating fans in North America in 1993 and has expanded its business with products highly regarded for their energy-efficiency, quietness, and long-life. In response to increasing public awareness of the importance of air quality, PESES will continue to contribute to IAQ improvement by providing IAQ products to customers all over the world. PESES's cumulative global production of ventilating fans from 1958 to December 2018. Production in Hong Kong was transferred to China and ended in 2001. Currently PESES does not produce ventilators in Hong Kong. Panasonic Ecology Systems has been leading the ventilating fan industry by introducing out new products to the world while meeting the needs of the times. The company also operates factories overseas, globally contributing to the improvement of IAQ through providing products designed to meet the needs in each country, based on ventilation technologies developed in Japan. Since starting exports of electric fans in 1918, Panasonic Ecology Systems has been committed to contributing globally via its environmental business. With factories and sales offices centered on North America, China and Asia, the company is globally promoting indoor air quality by providing products tailored to the climate and residential environment of each country. Since the launch of the ventilating fan business in North America in 1993, Panasonic Ecology Systems has pioneered energy-efficient, quiet, and long-life ceiling-mounted ventilating fans and distributes them as the Whisper series. The company has received the highest Energy Star award, which is Energy Star Partner of the Year Sustained Excellence Award in the US energy-efficient product certification program, evidence of its strong and established presence in the high-value-added business segment. The recent popularity of super-insulated and energy-efficient houses is raising awareness of IAQ and the indoor environment. Panasonic Ecology Systems has responded by developing products that provide a healthy and comfortable environment with improved indoor air quality for people and their houses. In China, the government has tightened environmental regulations. The public awareness of the importance of the air environment is raising. Panasonic Ecology Systems made its full-scale entry into China’s IAQ business in 1993, and currently has one factory in Shunde in the city of Foshan, Guangdong Province, and another in Beijing. These factories manufacture and develop products that meet local needs. Under the slogan, "Changing the Air will Change the Future," the company is committed to improving IAQ by providing energy recovery ventilator, bathroom dryer and other IAQ products. In Asian countries, Panasonic Ecology Systems has distributed ventilating fans for a long time. Currently concern for air quality is rising with degrading air environment such as PM2.5 and haze. With the proportion of mid-range and high end housing increasing, which leads to super-insulated homes, ventilation systems are becoming increasingly important. Panasonic Ecology Systems is developing ventilation systems that meet the needs of Asian countries, centered on Malaysia, Indonesia, Thailand and India. In accordance with lifestyle and housing conditions Panasonic Ecology Systems is strengthening solutions proposals such as ventilation systems in coordination with air conditioning, contributing to the realization of “comfortable IAQ and ways of life". Panasonic Corporation is a worldwide leader in the development of diverse electronics technologies and solutions for customers in the consumer electronics, housing, automotive, and B2B businesses. The company, which celebrated its 100th anniversary in 2018, has expanded globally and now operates 591 subsidiaries and 88 associated companies worldwide, recording consolidated net sales of 7.982 trillion yen for the year ended March 31, 2018. Committed to pursuing new value through innovation across divisional lines, the company uses its technologies to create a better life and a better world for its customers. To learn more about Panasonic, visit http://www.panasonic.com/global. Panasonic Ecology Systems Co., Ltd.